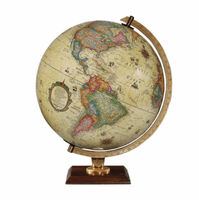 The detail in the antiqued parchment white ocean globe, by Replogles, is absolutely stunning! 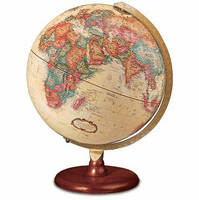 Countries are colored in muted shades, with darker hues at the edges of each country to delineate borders. 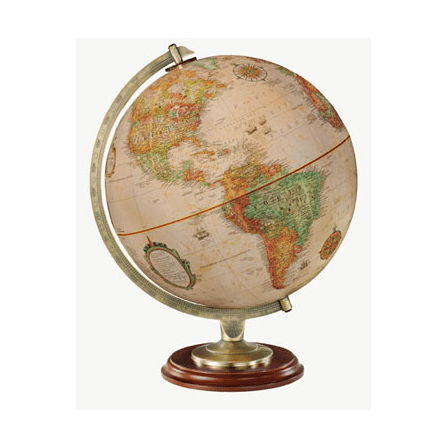 Cities are named, along with topography, adding a helpful and fascinating element when studying our world. 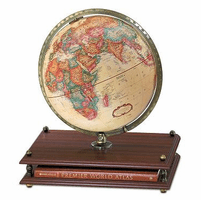 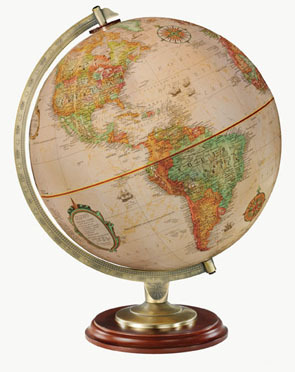 The globe is set on a walnut-finished wood base, and has a die-cast antique plated semi-meridian. 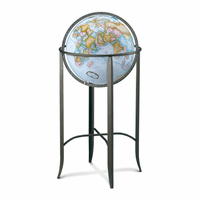 Total dimensions are 13' x 12' x 16', perfect for desk, side table or shelf!